New details have come to light about the much-rumoured PSP Phone, including some new shots of the device. The notion of a PlayStation Phone has been around since 2007, but it is only in the last week that images and specs have started to leak. 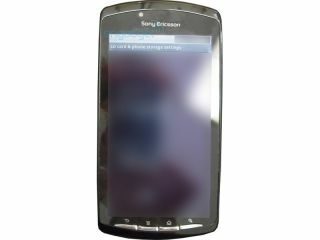 According to Engadget, who seems to have a firm handle of all things PSP Phone related, the Sony Ericsson device definitely has the modest codename of Zeus and is currently running Android 2.2 - but this may change when it comes to market. When it comes to storage, there seems to be a microSD card slot on board and 512MB of internal memory - likely allowing users to pump the internal storage up to around 32GB. The chassis of the PlayStation Phone is around 17mm thick, according to Engadget, and looks a bit like a BlackBerry – the phone make, not the fruit. The width of the chassis is around the same as the PSPGo, so will feel familiar to those who have had a go on the PSPGo. Speaking recently to press (and picked up by the Telegraph) Masaru Kato, Sony's chief financial officer did talk about the smartphones and gaming, explaining: "As for the new PSP product... there is a gaming market based on [the] cellphones, and there are many changes that are being seen [with] Nintendo, as well as ourselves, in the field of the product for the gamers." In short: he's telling us there is games market for phones and Sony makes games and phones. Which means that the PlayStation Phone is looking less and less like vapourware each day and could well launch at Mobile World Congress in February.